Cocaineis a powerfully addictive central nervous system stimulant that is snorted, injected, or smoked. Crack is cocaine hydrochloride powder that has been processed to form a rock crystal that is then usually smoked. (sean and drew moore) how is the brain efftected by marijuana? Good morning! Great question. Marijuana smoke goes into the lungs, and then the blood, and then the brain. Once marijuana is in the brain, its active ingredient--THC --attaches to proteins called receptors which are located on the surface of brain cells. The normal function of these receptors is to attach to or link with natural chemicals called cannabinoids. In effect, the THC molecules mimic (have similar effects) the actions of cannabinoid molecules, but with one big difference: there are many more THC molecules than cannabinoid molecules, so their effects are much more extreme. They are so extreme that they cause people to get high, but they also disrupt memory--not a good thing for school or life--and can cause addiction. Need more info on marijuana?? 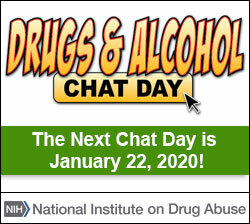 Visit http://www.nida.nih.gov/DrugPages/Marijuana.html. Keep the questions coming! ...IS IT TRUE THAT TODAY'S MARIJUANA IS "STRONGER" THAN THE MARIJUANA USED IN THE PAST DECADES ??? Yes. This is based on measures of the marijuana seized by the Drug Enforcement Administration (DEA). THC is the main active ingredient in marijuana, and the average amount of THC in marijuana was about 3.5% in the 1980's and is close to 10% in recent years. a lot of my friends get high. how could i help them?? Great question...difficult to answer. You you might consider talking with them in a nonconfrontational or nonjudgmental way. You could learn more about the effects of marijuana on brain and behavior to share with them. Let them know that you care enough about them to try to convince them to stop because we do know that the earlier someone starts and the longer he/she takes them, the more likely he/she is to become addicted.Here is some information for you, and also check out our website for other information: https://www.drugabuse.gov/drugs-abuse/marijuana.If you would like a little more information about helping a friend, please visit http://www.abovetheinfluence.com/. Good luck. about how many people die from drinking? About 85,000 people a year. After alcohol, what is the drug most commonly abused by teens? Great question! Other than alcohol, some teens abuse tobacco and marijuana. We have a lot of info about drug abuse. For instance, every year researchers at the University of Michigan supported by NIDA ask 8th, 10th and 12th graders around the country about their attitudes towards - and use of - drugs. This is the Monitoring the Future Survey, and you can look at the results on the NIDA Web site at http://www.drugabuse.gov/Drugpages/MTF.html . You can also check out https://teens.drugabuse.gov/. after being in rehab and quiting your addiction and be clean for a good couple of months can their be a chance that you go back because your head and body wants it? Kandy, Some people do relapse and use drugs even after treatment. Dealing with urges and cravings to use drugs is a standard component of drug treatment. When relapse occurs it doesn't mean treatment failed rather that there is a need for on-going intervention. This is just like my grandmother who is diabetic. Through diet, exercise, and medication her blood sugar was stable. However, when her blood sugar goes up it doesn't mean treatment failed or that future treatment won't work. It is an indicator she needs to be re-evaluated by her doctor and her treatment tailored. This is the exact same with addiciton. Relapse is a sign that there is still a need for additional treatment and the person should seek additional professional help. For more information about relapse and drug addiction see: https://www.drugabuse.gov/related-topics/addiction-science or to https://teens.drugabuse.gov/facts/facts_brain2.php#dealHope this helps. Dear PK483303, Statistically speaking somewhere between 40-60% of those who complete drug treatment relapse. Good addiction treatment recognizes that urges and cravings to use drugs persist beyond treatment and help people prepare for this fact. The good news is that relapse doesn't mean treatment failed or that additional treatment won't be successful. Relapse is an indication that additional treatment is needed. Maybe a new type of intervention needs to be used or additional support from a professional is needed. It's just like my grandmother's diabetes. Her blood sugar can be stable through diet, exercise, and medication. However, that doesn't mean her blood sugar won't ever spike again or that she won't need to see her physician for additional treatment. So, if you or someone else who completes treatment relapses don't give up and get more help. As a school who has drug testing, do you know how many schools in PA or nationally have drug testing and are there any statistics to support positive outcomes? Hmm, well i found found one stat from 2007 that says 'Since 2003, the Department of Education has awarded more than $36.1 million dollars in multi-year grants to over 80 school districts to support random student drug-testing programs in more than 400 schools.' Some schools have adopted a random student drug testing policy hoping it will: (1) serve as a deterrent and give students a reason to resist peer pressure to take drugs; (2) identify adolescents who have started using drugs so that parents and counselors can intervene early; and (3) identify adolescents who already have drug problems, so they can be referred for treatment. It is not intended to be punitive, but rather to prevent drug use or promote early intervention. The Supreme Court has ruled drug testing as legal for any students participating in extracurricular activities. Currently, there is insufficient research in this area to show whether random drug testing is an effective approach. Avez vous deja trop utilise l'alcol? P.S Aimez vous les patates? Ah, great question! I believe that cocaine was originally put in Coca-cola products for its stimulant properties and for it flavor-enhancing properties?! People who abuse drugs or develop an addiction often end up hurting their friends and family because the drug slowly takes over and becomes the most important thing in the addict's life. When a person starts stealing from their friends and family to buy more drug, or becomes abusive and hurtful over and over again, then no one, not parents nor children, not husband nor wife, will tolerate having the person around. So, over time, their social circle is likely to get smaller and smaller, and unless they realize their substance abuse problem and decide to seek help, they can indeed end up being alone as they grow older. Good news, because your parents used alcohol, that doesn't mean that you will automatically become addicted, although drug abuse and alcoholism have strong heriditary components (meaning it 'runs in families'). Scientists estimate that genetic factors account for about 50 percent of a person's risk of becoming addicted.Many other factors, such as stress levels and family environment also contribute heavily. We even have identified particular gene variants that are linked to higher risk of alcoholism, but even if you have the high risk form of these genes,alcoholism can be entirely avoided if alcohol is not used. Here's NIDA's Website for teens with information on the science behind drug abuse, facts on drugs, questions and answers, real stories and interactive activities. http://www.teens.drugabuse.gov Here's more good news! Doing things like going to school, hanging out with friends who don't drink, and being active (like playing sports) can help protect you from alcoholism and other drugs--even if you have other risk factors. You have total control over whether or not you become addicted to alcohol. I hope you stay sober!! can a baby die from drugs while there in ur tummy and ur using them? Your question is very important. It is known that drugs of abuse can cross the placenta and reach the fetus. So, drugs used by the mother definitely can affect the baby's health and can even produce long-term harm many years later. That is why doctors recommend that pregnant mothers should not smoke or use alcohol or other illicit drugs. Are steroids considered an illegal drug? Hi there!Well, first of all, we have to define a few things. First, a steroid is a representative of a class of hormones that your own body makes. Steroids you may recognize include cholesterol, estrogen, testosterone, vitamin D, and corticosteroids. Second, each of these kinds of steroids has a special function in your body and is present in very, very small amounts. Misuse of anabolic steroids (which are used to build muscle mass) can result in serious adverse health consequences. Altogether, there are hundreds of anabolic steroids, including many that are manufactured (and not found in nature), and some that are metabolic by-products of androgens. They vary in potency and in side effects. Anabolic steroids are classified by the DEA (Drug Enforcement Agency) as Schedule III drugs and it is illegal to obtain or use them for the purposes of performance enhancement. So, if you want to get 'pumped up', do it the natural way - through exercise! For more information on anabolic steroids, check them out at www.drugabuse.gov. yes, and we think this is because the adolescent brain is still actively growing and developing. Are the effects of steroids always true? Drug use is increasing for certain age groups whereas in teenagers drug use has gone down. Also drugs like pain killers have gone up whereas drugs like ice have gone down.Your question is more a question about enforcement. We focus on research about drugs of abuse and addiction. Are there any drugs that can kill you? Just about any drug taken in a way or amount that is not as prescribed can kill you. Even when the drug is taken correctly, it is possible to have an allergic reaction and get very sick. The bottom line is drugs/medications are safe if taken as prescribed, but when abused any thing can happen including overdose/death. Are there people who have tried a drug a few times and they were so repelled that they couldn't get addicted? Yes, we are real people - most of us are scientists, all of us are dedicated to get out the facts about drug abuse. Are weed brownies as bad as smoking weed? Good question. The active component in marijuana is THC. THC gets into the blood differently when MJ is ingested as a brownie or when it is smoked. Brownies are eaten and therefore THC gets into the blood stream (through the stomach and intestinal lining) much more slowly compared to smoking, where the THC is taken up in the lungs and gets into the bloodstream much more quickly. Once the THC gets into the blood, it has its effects in the brain. Both ways gets THC into the brain but at different rates. Good question! Hard to know when you will see 'bad side effects'. What we know is that all drugs have effects on the brain. It depends on the particular drug and the particular individual the extent of damage to the brain, but we do know that all drugs of affect the brain's dopamine system. This brain system is involved with reward and pleasure. Repeated use of drugs can start to change this system, causing a person to no longer be able to control their drug use. The person becomes 'driven' to take the drug, even when he/she realizes that he/she isn't able to do well in school, isn't able to enjoy the things that used to make him/her happy, and is hurting his/her relationship with friends and family. Bottom line: drugs affect the brain and brain processes (and other systems such as cardiovascular), which in turn, affects behavior. We still don't know or understand about who becomes addicted and why, and after how much drug exposure. We do know that each person is different, so it's a little like playing 'Russian Roulette' if someone chooses to use drugs. The longer someone takes drugs, the more likely that he/she will become addicted and suffer long-term, harmful brain changes. So to be honest, there is no real straightforward answer regarding when you might see some negative effects. We also know that the earlier one starts, the greater the likelihood of addiction and problems.For general information about drugs, check out http://www.abovetheinfluence.com/ or https://teens.drugabuse.gov/facts/facts_stim1.phpHope this helps. Approximately how many questions do you receive during the course of this chat? Are all drugs addictive after excessive use--even 'over the counter's addictive? Some drugs that can lead to addiction are OK to take under a doctor's supervision. For example, opioids like Oxycontin or Vicodin are powerful pain relievers, and are highly beneficial for people who are in severe pain, such as after an injury or surgery. But it is critical that a person follows the doctor's instructions when taking the drug to avoid the risk of drug abuse and addiction. In 2008, nearly one in ten high school seniors reported the non-medical use of the prescription pain reliever Vicodin, and one in 20 abused OxyContin. Abuse of these drugs can be associated with overdose and death, especially when they are taken at high doses, in non-prescribed routes (e.g., snorting or injecting), or in combination with alcohol or other drugs. Are children of smokers more likely to have diseases or problems? Thanks for your question Einstein! Scientific research has found that if a mom smokes while she is pregnant, her child may be more likely to use tobacco when they become teenagers, and more likely to become addicted. Smoking during pregnancy is associated with several other adverse outcomes for babies developing during pregnancy, including increased risk for stillbirth, infant mortality, Sudden Infant Death Syndrome (SIDS), preterm birth, low birth weight, and respiratory problems. Also be aware that during and following smoking, nicotine concentrates in fetal blood, amniotic fluid, and breast milk, exposing both fetuses and infants to toxic effects. Smoking during pregnancy can also affect cognition and is associated with behavioral problems in children. Even second-hand exposure to cigarette smoke can cause problems. For example, strong associations have been found between second-hand smoke and low birth weight, premature birth, and a number of other physical health outcomes, including Sudden Infant Death Syndrome, respiratory illnesses (asthma, respiratory infections, and bronchitis), ear infections and cavities, and increased medical visits and hospitalizations. Need more information on the consequences of prenatal drug exposure? Visit http://www.drugabuse.gov/consequences/prenatal/. Good morning Rockville High!Smoking any form of tobacco, including cigars (even if you don't inhale), can cause disease. Did you know that tobacco is linked to an estimated 440,000 deaths per year? Check out https://teens.drugabuse.gov/drug-facts/tobacco and http://www.drugabuse.gov/Infofacts/tobacco.html for more information on tobacco, cigars and smoking! Are cigars worse than cigarettes?